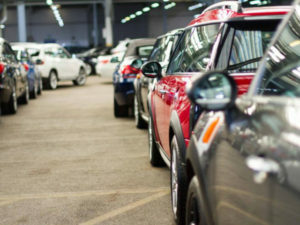 Adding credence to industry views that buyers are turning to used cars instead of new as economic uncertainty continues, latest figures from Manheim show February brought a third consecutive annual rise in average prices, with vehicles passing through its online and physical lanes achieving an average of £7,158, an increase of nearly 12% year-on-year. Despite a 23.5% drop in diesel demand for February new car registrations, diesel values at auction increased by 5.95% in February (£9,046 in 2018 vs. £8,538 in 2017), and vehicles in the 10k to 20k mileage band achieved the strongest average growth in value at 4.41%. However, the growth in diesel values was outshone by the petrol market, which experienced double-digit growth of 20.05% year-on-year to £5,126. (£4,270 in 2017). Average mileage for all fuel types continued its downward trend, shifting from 59,065 in January 2018 to 57,898 in February and overall volumes were also down (6.71%), with an exception in the 10k to 20k mileage band at 3,517 (up 2.39% on 2017 at 3,601). Manheim said the dip in overall volume was probably the result of scrappage schemes, a decline in new car registrations, the trend towards consolidation creating larger retailers and the general shift among dealers to focus on used car stock.